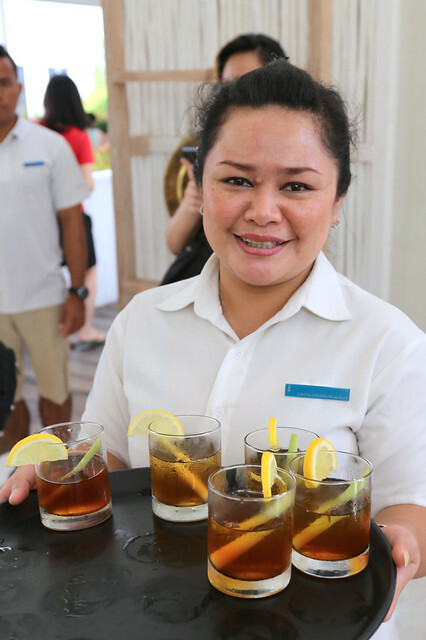 Yes, to welcome drinks and warm Indonesian hospitality. 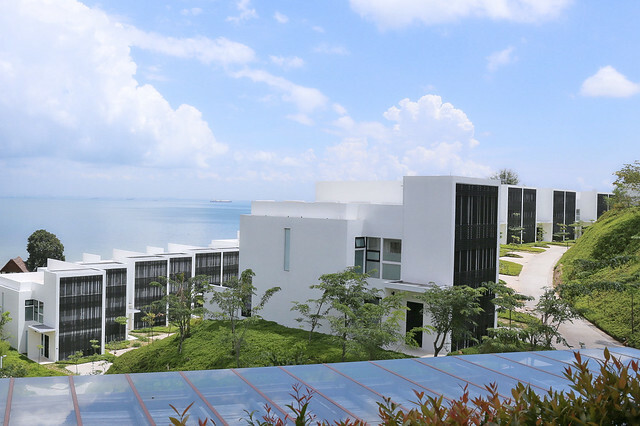 There are 88 villas at this modern contemporary resort which sets geometric shapes against the sea and sky. 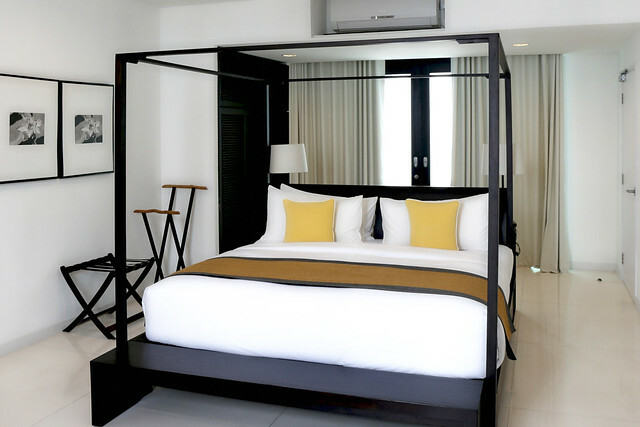 Each villa provides 3,300 square feet of well-appointed space. The living room is cool and spacious. 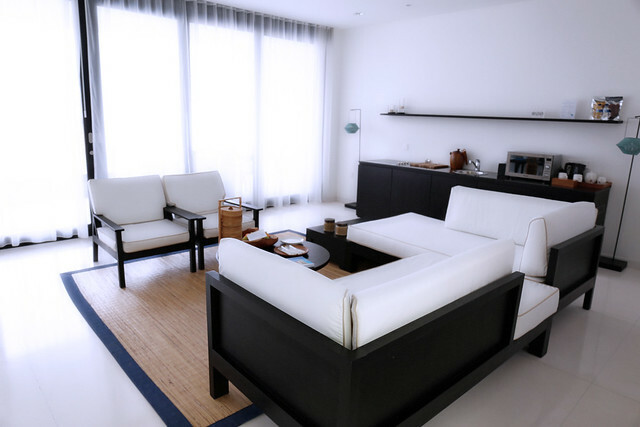 The decor is predominantly in monochrome tones of black and white, with natural wood and bamboo accents. 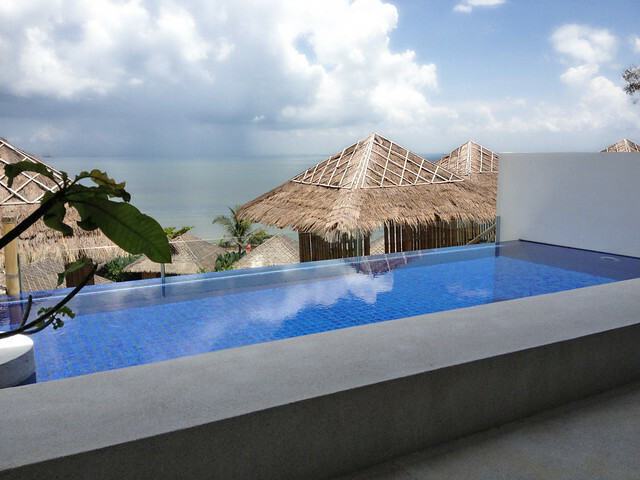 Right out side the living room is a big balcony with your very own private plunge pool! You also have a personal concierge or butler with your villa. 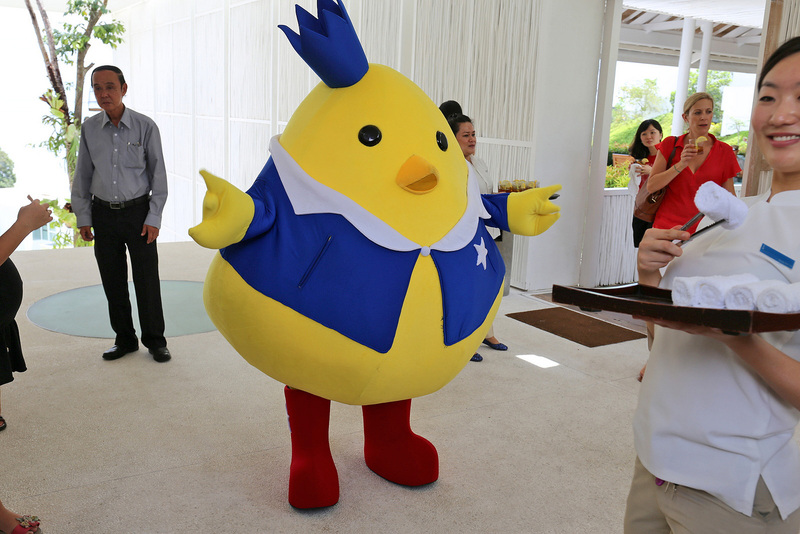 Ours was a Korean lady; it was quite surreal having her introduce to us the features of the Indonesian resort. But yes, private plunge pool! Overlooking the South China Sea! 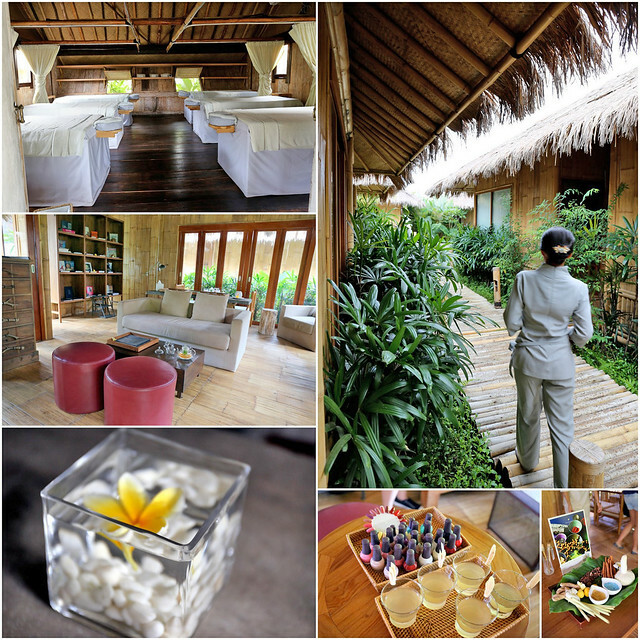 We got the Spa Villa (there are 13 of these) which means you have your own private pavilion for spa therapy treatments! 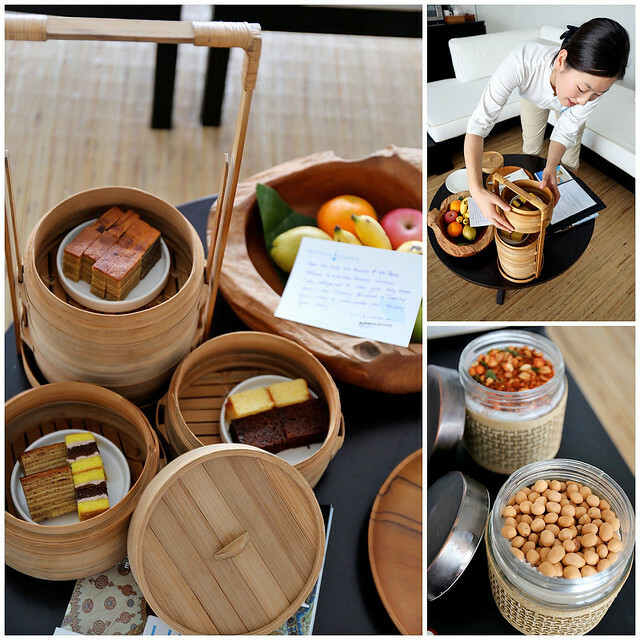 You are also well-stocked with local cakes (including kueh lapis), fruit and nuts. Upstairs, the master bedroom beckons with an elegant four poster canopy bed. The same monochrome theme continues, even in the paintings. Behind the bed is a writing desk that transforms into a dresser when you flip up the mirrored lid. 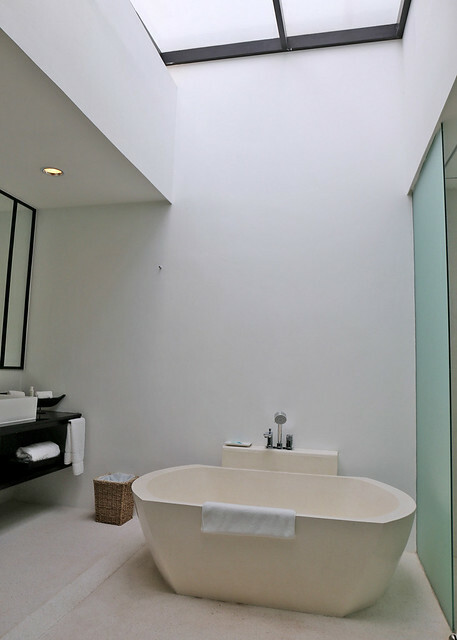 The master bedroom has an amazing sunlit bathroom with high ceilings and skylight. 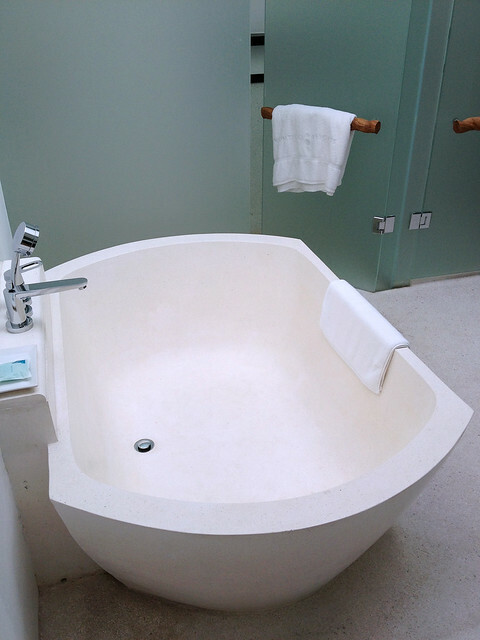 I absolutely LOVE the giant stone bathtub! 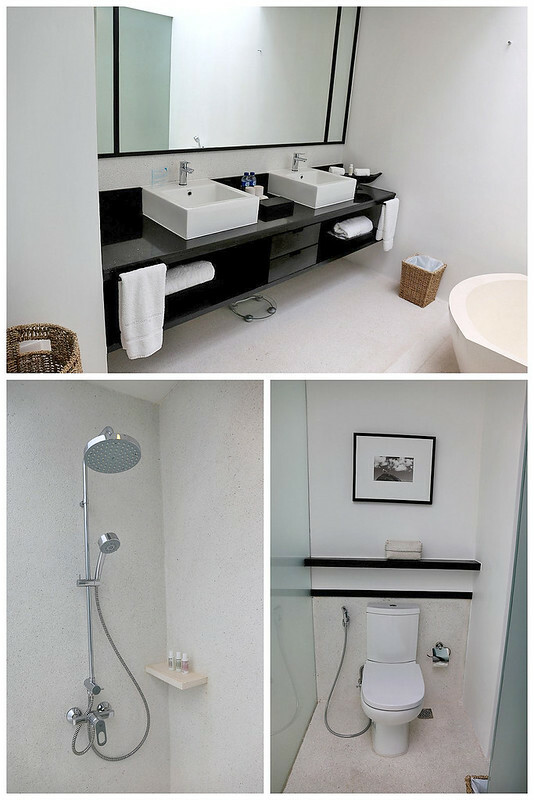 Modern bath fittings and furnishings. Treat yourself to the Malin and Goetz toiletries. 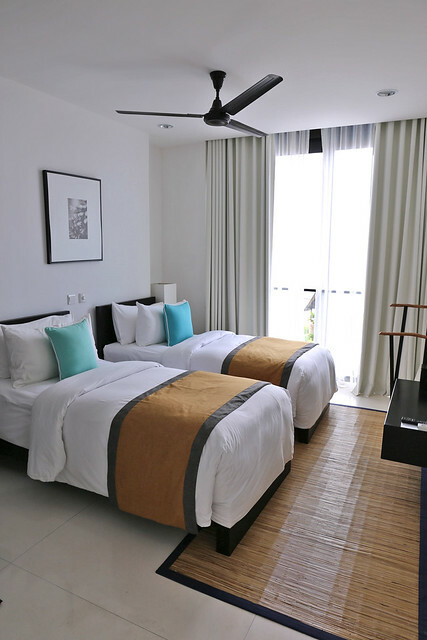 There is a second bedroom with twin beds. 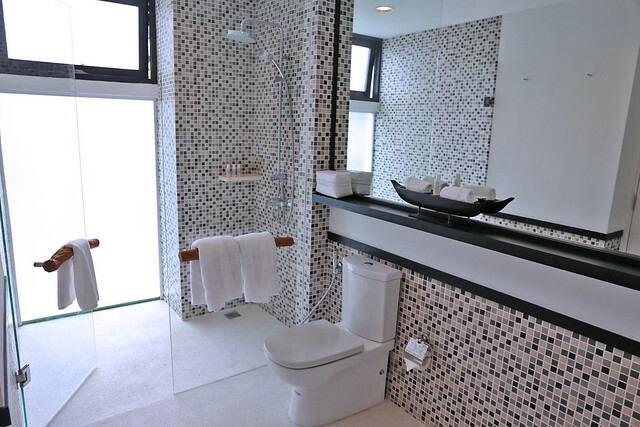 The second bedroom has its own ensuite bathroom with shower but no bathtub. 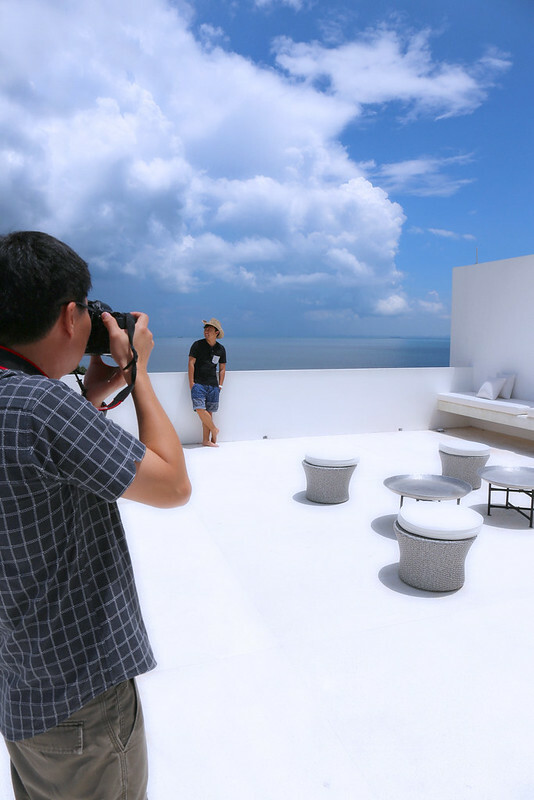 On the third level, you have this expansive roof space, which we felt had a decidedly Santorini feel. 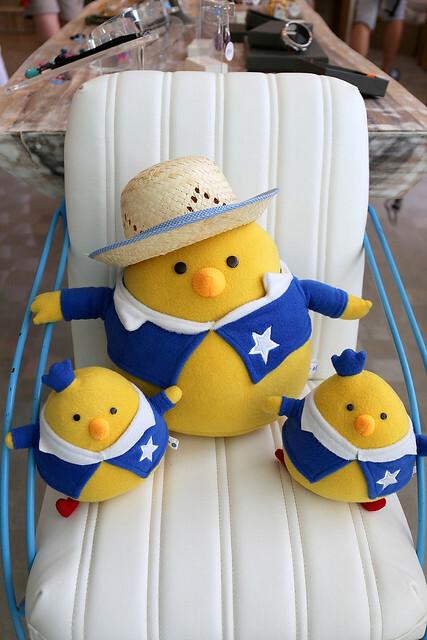 It's also perfect for a BBQ dinner for the whole family or group of friends! Here's the in-villa BBQ menu. The view from your villa is awesome. 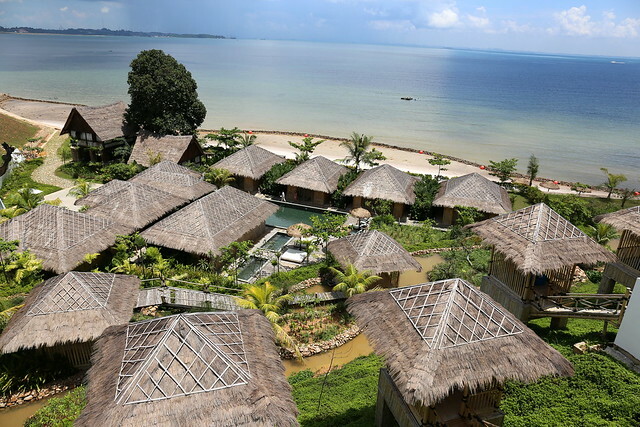 Montigo Resorts is situated on one kilometre of private seafront property facing the South China Sea. One of the highlights of the resort is the Spa. What's amazing are the antique huts completely transplanted from Sumatra. 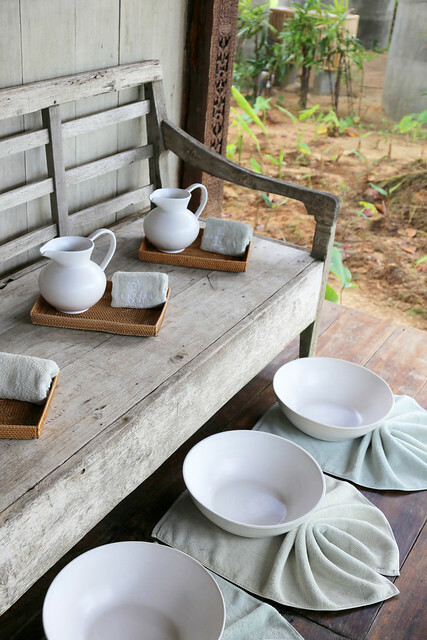 Steep your soul in the rustic Indonesian atmosphere, as you enjoy the treatments and massages using ancient Balinese, Javanese and other Asian techniques (see the Montigo Spa menu for details). I love the care taken with the aesthetics of the place. There is also an outdoor pool at the spa. One of the many pools at the resort, as you will see. 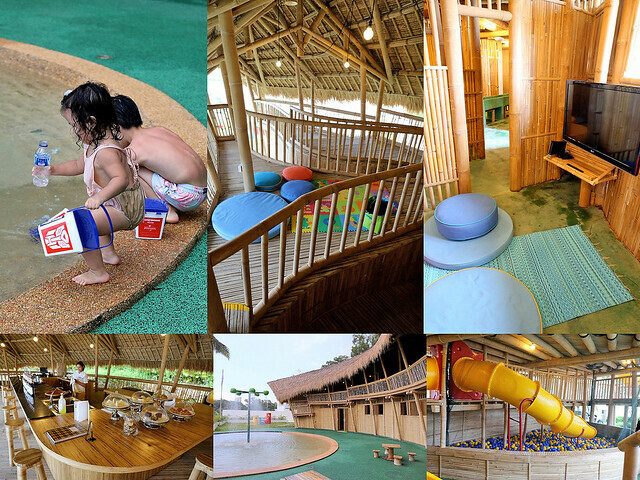 For the kids, there is a giant playhouse full of toys and activities. 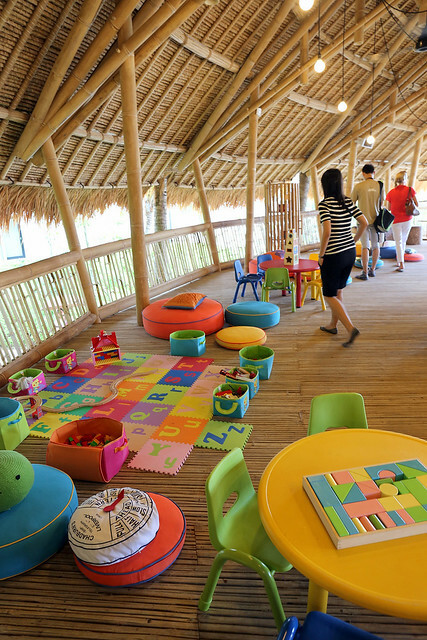 Parents can leave their children at the supervised OLO kids club to have some time off for themselves. There are plenty of activities - body painting, gardening, kite flying, swimming, culinary classes and even "mixology" sessions - mixing delicious drinks at the mocktail bar. Slides, water fountains, and even video games in private nooks. I hope they have a little library too, somewhere. Foodwise, there's TADD, the all-day dining restaurant that caters to families and groups of friends alike. 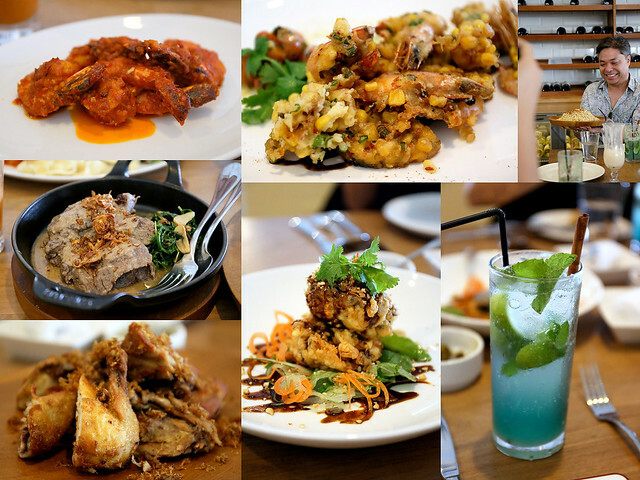 It serves contemporary Western and Asian classics. There's bound to be something for everyone. For lunch, we tried the sambal prawns, corn fritters, beef curry, spicy fried chicken, tauhu telor, fried rice and drinks. TADD's in the evening takes on a different glow. In the mornings, TADD serves a good spread for the breakfast buffet. You will find your usual favourites from international and Asian selections. 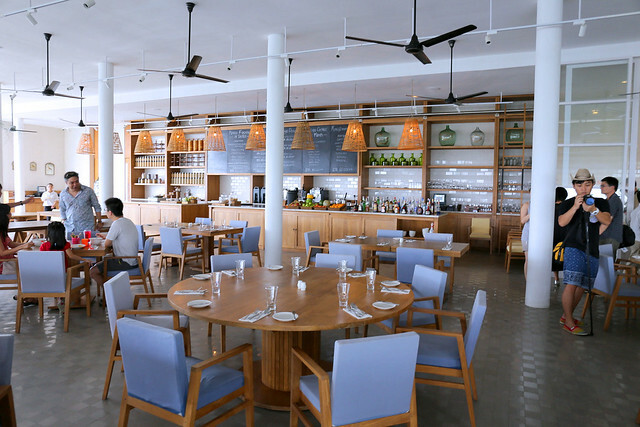 Pantai (meaning "beach") is the rustic yet modern family-friendly restaurant serving local Indonesian-Chinese seafood dishes. 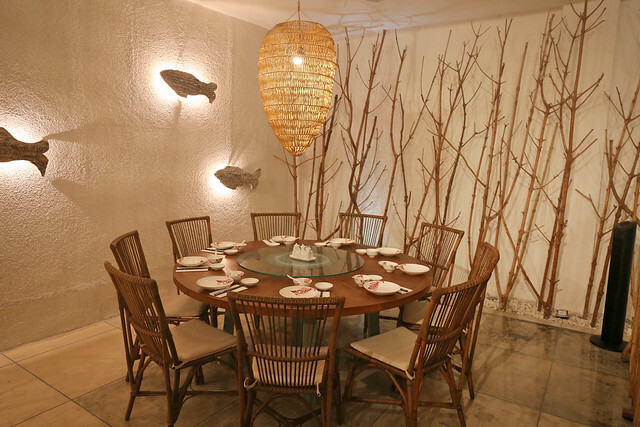 The decor takes cues from fishermen huts. 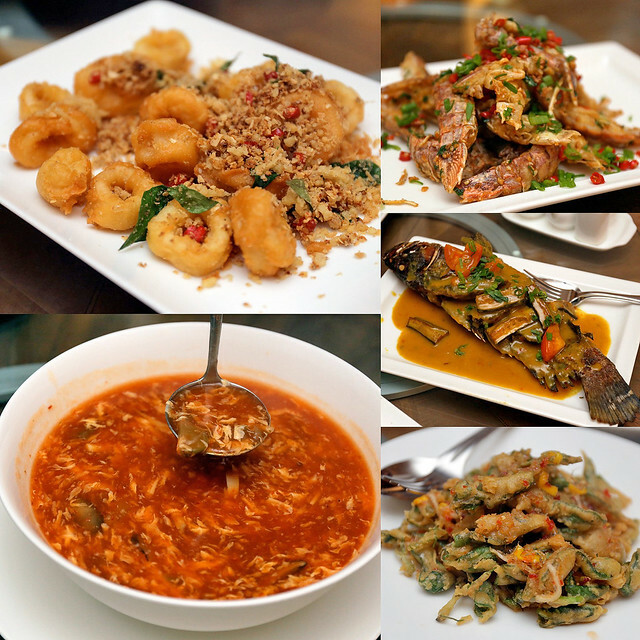 Crispy cereal calamari, hot and sour soup, slipper lobster, whole fish, and vegetable tempura for dinner. All that food makes you feel like you need a workout! 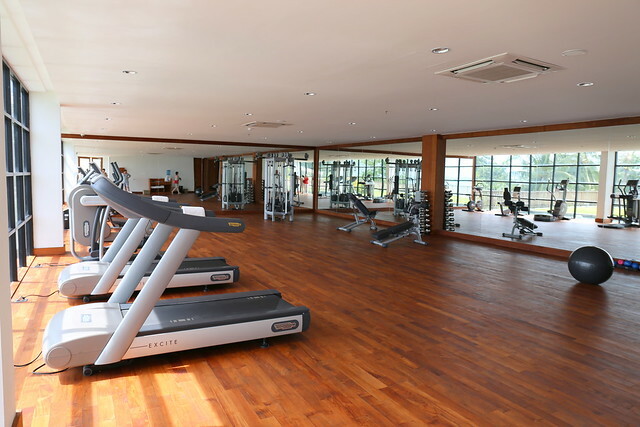 And thankfully there is an incredibly spacious gym and dance/workout room. They also have yoga lessons. The resort recently added convention and meeting facilities. 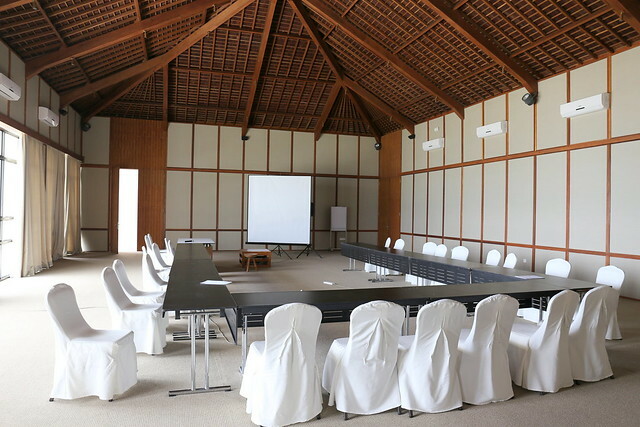 A large hall seating 250 guests, and two private boardrooms for high level meetings are available. There are facilities also for class reunions and weddings. 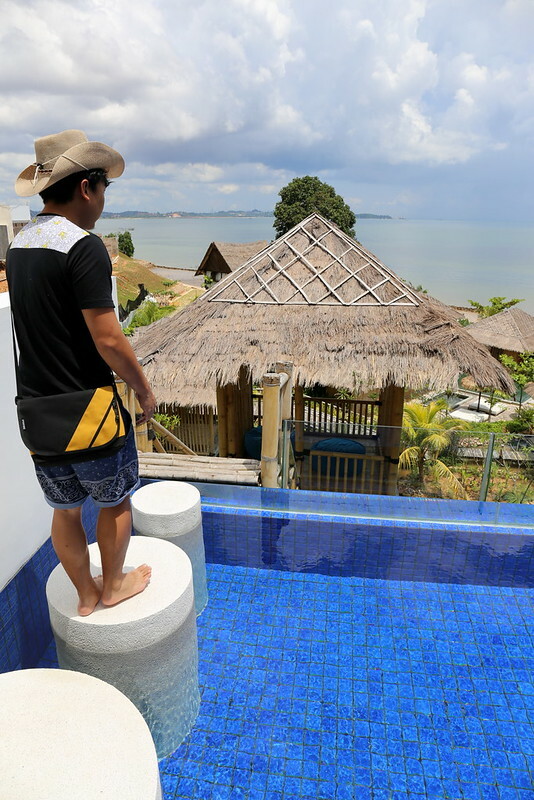 And even though it's a very family-friendly place, Montigo Resort also takes into consideration the needs of young adults who prefer their own place. 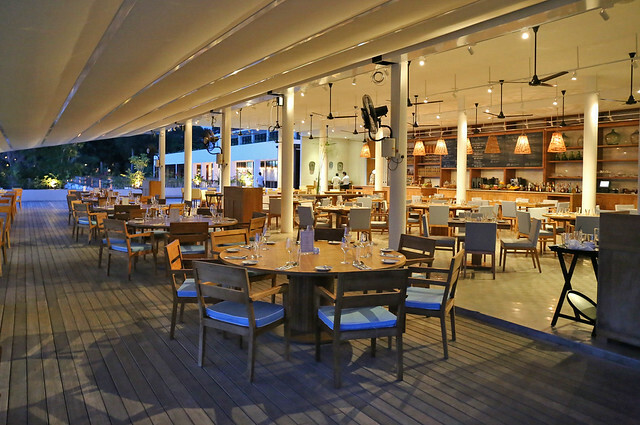 TIIGO Bar and Beach Club is a child-free zone with private pool and cabanas. The bar is ruggedly clad in recycled wood and corrugated aluminium sheets for edgy style. Forgot sunscreen? Fret not. A little retail shop provides for basic necessities. 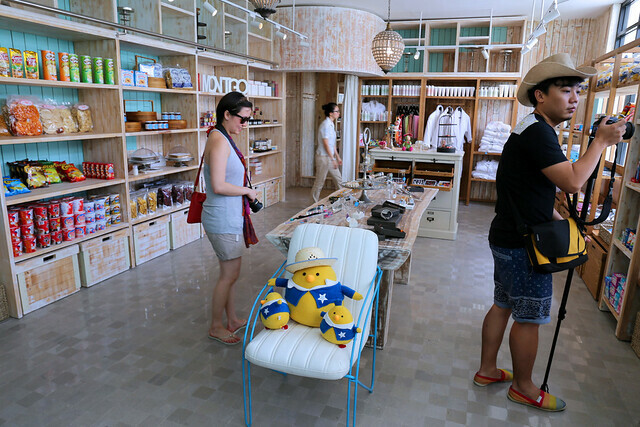 It also stocks some of the resort luxuries like the Malin and Goetz toiletries, ultra-plush bathrobes and local costume jewellery. Take home some of the bottled sauces and sambals (the green one is nice). More pools to relax at. This one is just outside TADD's, with deck chairs and mini island deck. 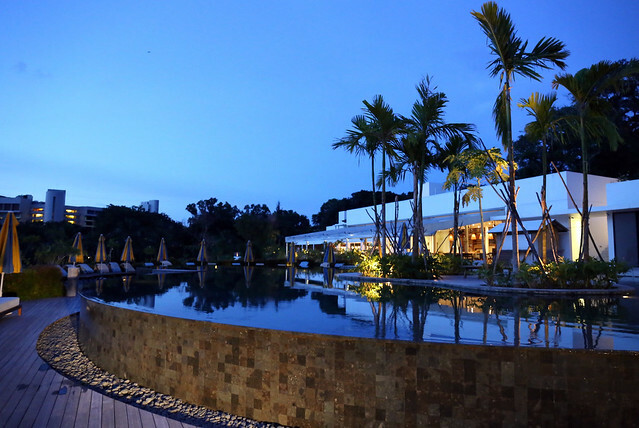 The infinity pool looks so serene at night. 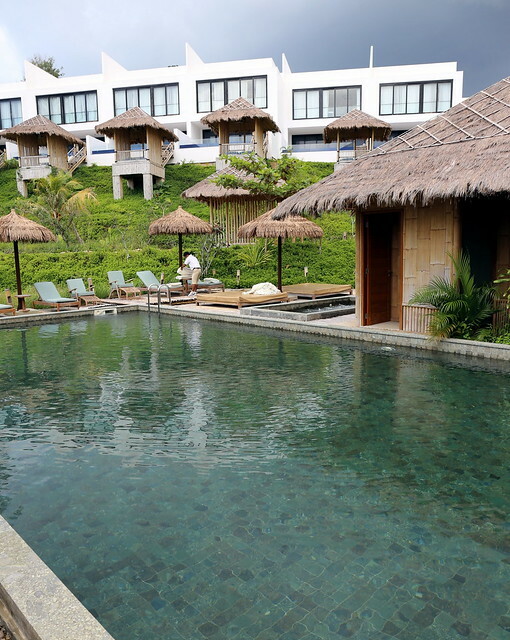 The resort is also close to various leisure and recreational facilities, including six championship golf courses, shopping malls and a private marina. 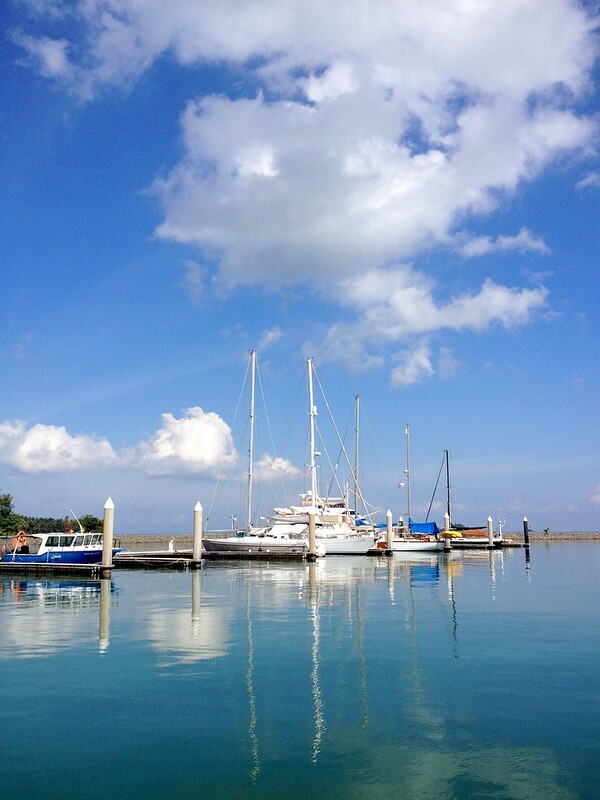 Take a boat out and explore the coastal surroundings. The misty sea spray is lovely, especially when it's sunny and beautiful. 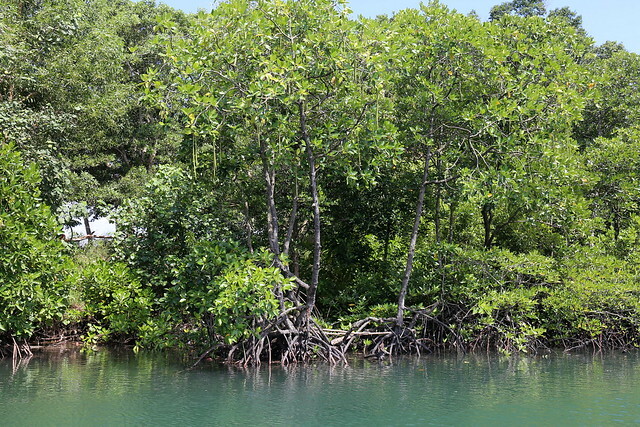 Check out the mangrove swamps - there are special sunset cruises to see the "kunang-kunang" or fireflies at night. You can also opt for eco-tours or fishing trips, bike trails and jungle treks. 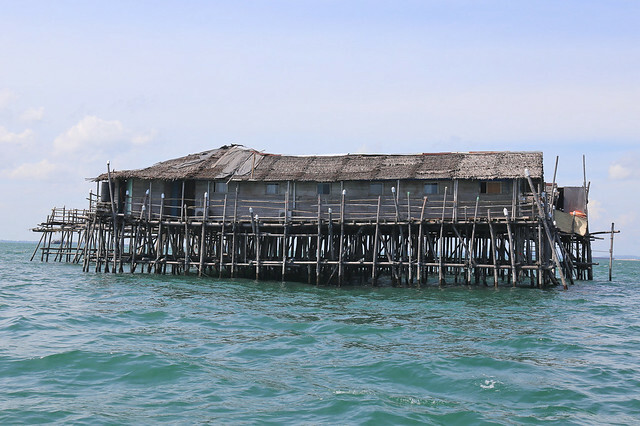 We saw an awesome kelong (fishing hut) out at sea. 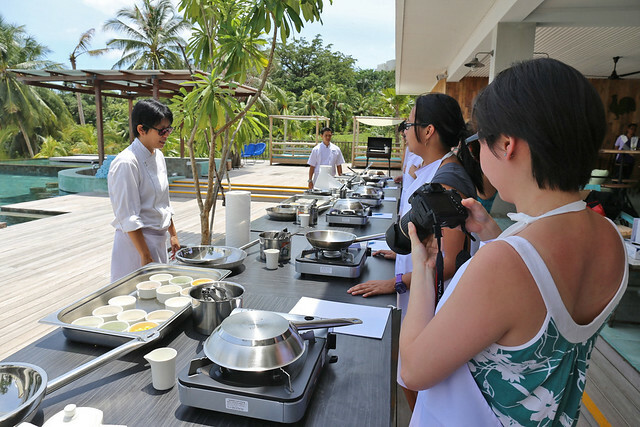 There are also hands-on culinary classes for adults. 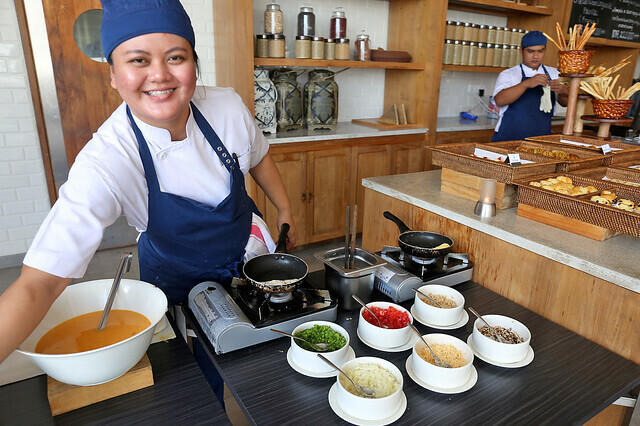 Learn to cook some of the dishes served at the resort itself. You can't help but be charmed by the resort. It has everything for young and old. 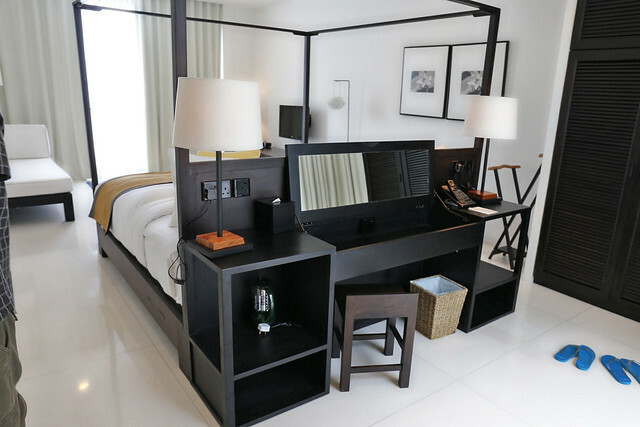 It's accessible luxury just a hop away, perfect for lazing and relaxing. Villa rates start from S$344++ (you can check some online booking sites), and that's a real steal for a three-storey 3,300 sq foot villa. 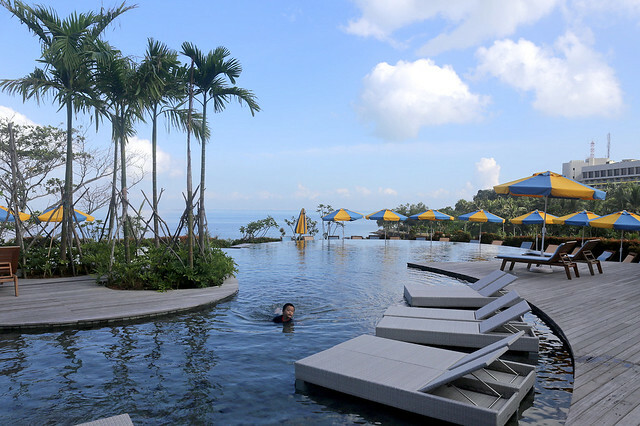 To get there: Montigo Resorts has private ferry services daily (S$118++ per adult; S$98++ per child) between Tanah Merah Ferry Terminal and Nongsa Point Marina. Many thanks to Montigo Resorts for inviting us to experience the lovely villa stay. Except where indicated, the photos are taken with the Canon EOS 6D kindly loaned by Canon Singapore. I have stayed in this resort last year and it is really a great experience staying over there. I had lot of fun over there.